1972 is proving to be one of the more difficult years for me to find shows to recommend. Not because there aren’t enough good ones, but for the exact opposite. The entire year is filled with highlights. As I’ve said, you can hardly go wrong in 1972. Yet, I’m trying to assemble recommendations for the best “first stops” of the year. Well, the first Playin’ sandwich ever seems like a shoe in. God bless the key of D.
In many ways the band’s playing in 1972 is an evolutionary pinnacle for this group that formed some seven years earlier. Listening to the Playin’ In The Band jam on 10/18/72, you instantly become aware of a sound that appears fully developed, fully mature. This core jamming groove typifies not only the 1972 sound, but a sonic picture of the destination at the end of the road travelled for many years. Even a non-Dead fan would likely be struck by the musicianship going on here; the intensely locked in musical components interweaving something more than just early 70’s rock and roll. 1972 was the top of the food chain. It wasn’t necessarily better than the amazing parts of 1968, ‘69, or ’70, but it was certainly something close to a perfectly synthesized version of all that had come before it. And the feather in the cap of the Dead was that they were able to elevate beyond this uber-band evolution when they got into 1973 – like having risen to the highest state possible for a water dwelling creature, and then crawling out on the land to evolve further. This Playin’ jam is like a laboratory controlled experiment testing the awesome power of a runaway freight train. So much power, all being harnessed and directed down the track with a certain elegance. Like a lilting, lyrical ball of fire, the jam courses liquid lightning bolts through your veins. Not a rare occurrence in 1972, mind you. This is what the year tends to deliver night in and night out. A short drum solo, and the band turns on a dime into Dark Star. The ball of fire gives way to pulsing multi-color starlight filling your visual field. Eventually, you are standing behind a slow moving waterfall of colors, blurring together into infinite hues. The blurring is intentional; the band is clearly listening to each other, everyone adding perfectly measured ingredients to the stew. The crowd mounts a loud cheer (mirrored ball starts spinning?) and the song’s theme appears, and this is a good time to notice that Bob Weir is sensational on this recording. He plays so strong, and shows how he was taking the role of rhythm guitarist to its absolute extreme edges. After the verse, at just past the 14 minute mark, comes the part of this Dark Star that keeps itself burned in my brain forever. Jerry finds a soft melodic line that he repeats, and I’m reminded of how this band’s music could pull the magic out of the mundane. 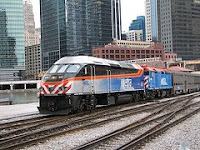 This very small part of the song where everything is so spontaneous, reminds me of a grey morning several years ago on which I was riding the train to work into downtown Chicago. Listening to this show, this portion of the song appeared as I was staring out the window just minutes before arriving at the station. From my seat I could see the city easing by (we we traveling under five miles per hour) - people walking on sidewalks, cars, cabs, and busses traveling the streets, and even other trains on other lines moving along. At this moment, all patterns and tempos synched up with the music, similar to how windshield wipers can always find a beat or two to match what the car radio is playing. Here, the pace of the walkers hooked up with the speed of the train, the flow of the traffic, the slow passing of buildings to and from view, the nearly motionless passing of the cloud cover over head, all of this being punctuated by the exploration of the band. Somehow, everything was displaying its secret connection to everything else. I was elevated. Sunlight burst from my heart. And for what would not be the first or last time, fellow riders who might have glanced my way surely had to wonder why on earth I was smiling from ear to ear. After a nice Phil romping solo, the band slips into the four chord theme that would later be found in most all China>Rider transitions in 1973 and 1974. It fits perfectly here. And then, Morning Dew. I’m not sure that any of us need to hear me go on about another Morning Dew here. 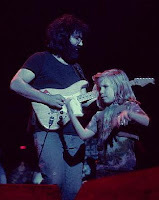 But for those of you who might, by chance, be finding this as the first Morning Dew mentioned on these pages, know that this timeless piece of Grateful Dead music serves, once again, to thread the needle and stitch the fabric that best exemplifies everything the Dead did in creating and fostering the Americana Mystical Folklore Music of a generation. I think, several hundred years from now, it will be the Dead covering Morning Dew that best communicates what was precious about this genre of music. It vibrates on all levels of what the Dead music was about, sending out the message that I currently find quite difficult to put into words. Regardless, in the bouquet of all Dead songs, Morning Dew captures nearly all the colors and textures of the flowers around it. It is always a focal point for the eyes, giving different pleasures depending upon the angle at which you view it in the vase. Here on 10/18/72, just as you know Jerry is about to belt out the final, “Guess it doesn’t matter anyway,” the band takes you over a cliff back into the Playin’ In The Band jam. Horses running full tilt down the hill; trees whizzing by, burning with a hundred colors of autumn. The horizon rocks from side to side, clouds tossing beams of sunshine out like extended fingers on a hand. When the Playin’ chorus returns on Bobby’s scream, the rock band experience floods back, and the band’s last notes gently let you step back onto firm ground, as if out of a giant’s hand who just took you on an adventure – which the 1972 Dead just did, for sure. No AUD circulates for this date at this time. The soundboard is sublime. I hope you don't stop writing because it affords me (and, I'm sure, many others) great pleasure and hope that all the vibrational juju of the universe lets your inspiration flow. Orko, Thanks for your comments. I did wonder if that train moment would resonate with folks. Glad to hear that it did. I will continue to stay as open to the juju as I can. Thanks! As for 10/18/72, one thing I especially love about this jam is how right before they sing the Playin reprise vocals, there's this tiny little misstep in the music, like a flash of hesitation. Of course I love this band, warts and all (and there can be a LOT of warts! ), but I especially love this particular little bump. Only the Dead could take their music to as many corners of the universe as possible, continuously for almost an hour, then manage to stumble over an untied shoelace right before bringing it back to home base. Yes, I was there, the 17th - and 15 years old, with my best friend Chuck, who was old enough to drive. We were from Fulton, Missouri [Full Time Misery] at the time. My Father, who NEVER said yes, let us skip school the next day, AND as well threw us the keys to the Pontiac. I was stunned. And yes, he knew what we were up to - ALL of it. 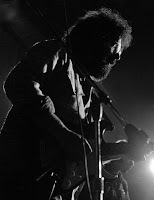 The Dead were a no-show for quite a while but no one minded - it was a very cool vibe, after starting pretty late they said they’d make it up to us and play all night - I don;t know how early they played to because we left about 2am to be cool with the Parents. Never, not once, were we hassled by anyone - Cops included, at the Fabulous Fox Theater. Things were weird and different back then. As we speak, I’m downloading the show - gd72-10-17.02219.sbd.warner.sbeok.t-flac16 from some nice people. You see, this was my first concert. I now, in my old age, am a Systems Administrator for my own company. Love this site! Thanks so much for the advice. I've only been a Deadhead for about a year now but I've been listening to as much as possible and 1972 is easily one of my favorite touring years. Every '72 show you've recommended was incredible. I look forward to checking out all the other later-era shows you've blogged on.